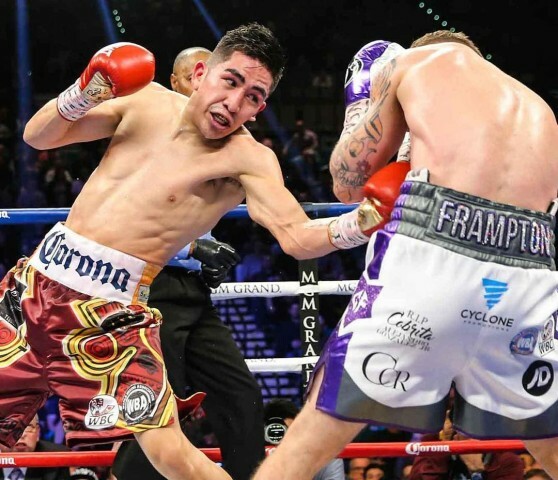 On Saturday night, inside of the Staples Center in Los Angeles, Leo Santa Cruz overcame a spirited effort from Abner Mares in front of a raucous crowd to capture a majority-decision victory. 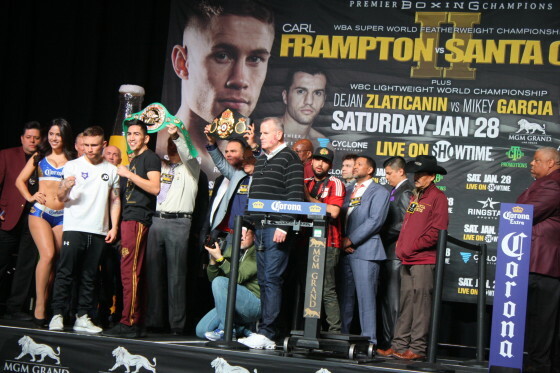 In what may be the most definitive fight to date on the “Premier Boxing Champions” series, the ESPN-televised affair had plenty to offer its fans. 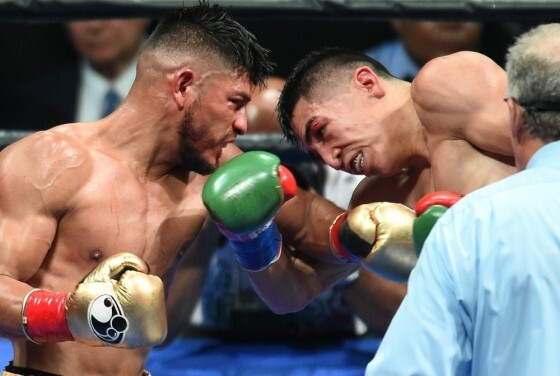 Mares came out of the gates swinging but it was Santa Cruz who settled down and boxed a masterful fight from the fourth round on. 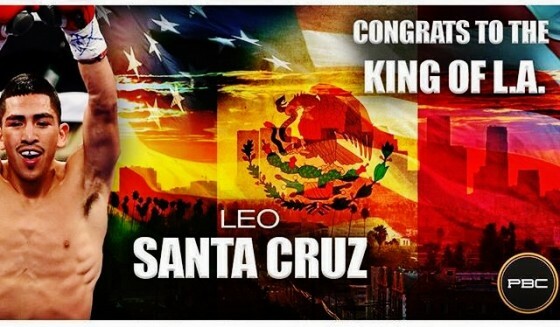 On Saturday night, Aug. 29, Leo Santa Cruz became a three-division world champion with a hard-fought majority-decision victory over fellow three-division titlist Abner Mares inside of the Staples Center in Los Angeles, Calif. 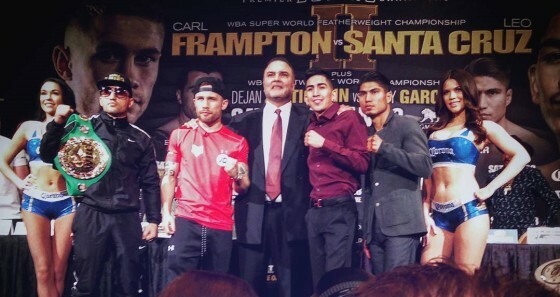 The bout took place on ESPN’s airwaves as a “Premier Boxing Champions” telecast and the action didn’t disappoint. 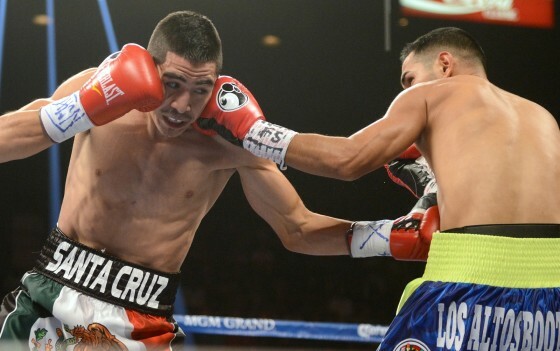 Looks like always-exciting WBC junior featherweight champion Leo Santa Cruz will be returning to the ring in a few weeks’ time out in Las Vegas. 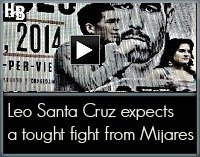 Santa Cruz (28-0-1, 16 KO’s) will be looking for fourth successful defenses of his title on Jan. 17, as he will be facing off with Jesus “Estrella” Ruiz (33-5-5, 22 KO’s) on the Showtime-televised “Return To Glory” undercard headlined by WBC heavyweight champion Bermane Stiverne vs. power-punching contender Deontay Wilder at the MGM Grand Garden Arena. 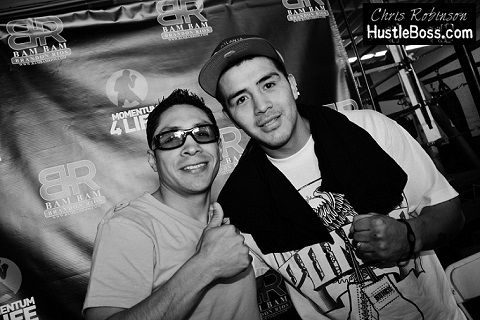 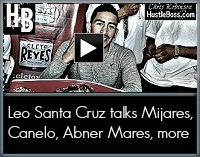 HustleBoss.com’s Mohamed Ali speaks with former WBC junior featherweight champion Leo Santa Cruz, as he eyes his March 8 title defense vs. Cristian Mijares and speaks on Canelo Alvarez vs. Alfredo Angulo and Abner Mares vs. Jhonny Gonzalez II. 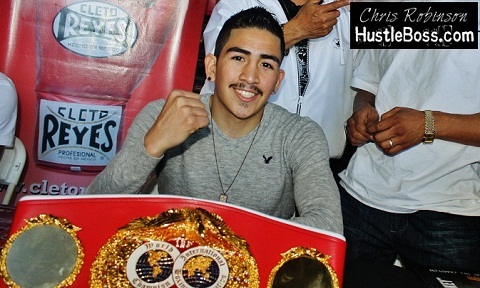 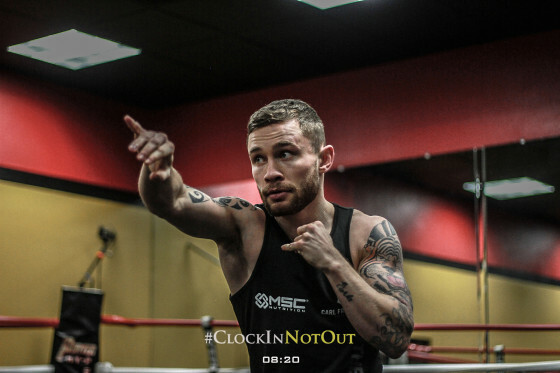 Reporter Mohamed Ali was on hand in Los Angeles as WBC junior featherweight champion Leo Santa Cruz (26-0-1, 15 KO’s) spoke to the media ahead of his March 8 match vs. former champion Cristian Mijares on the Showtime pay per view Saul Alvarez vs. Alfredo Angulo event. 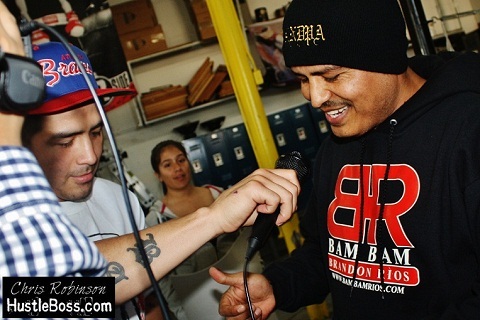 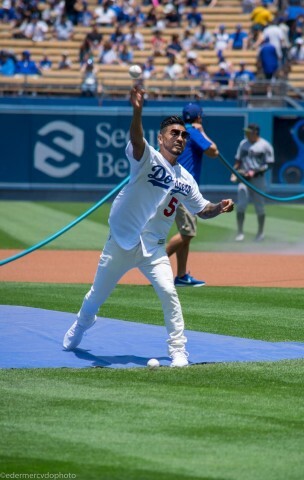 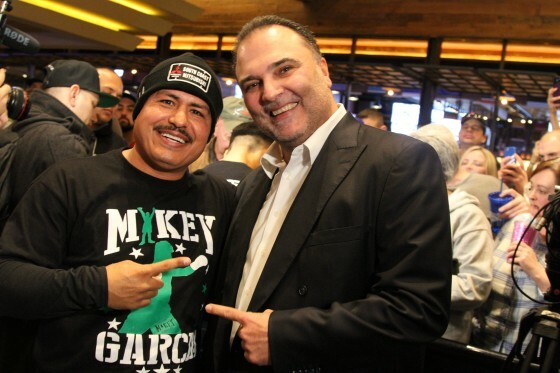 Notables in the building included former champions Steven Luevano and Israel Vazquez, WBO featherweight champion Mikey Garcia, IBF bantamweight champion Leo Santa Cruz, Two-time trainer of the Year Robert Garcia, and former WBO female bantamweight champion Kaliesha West. 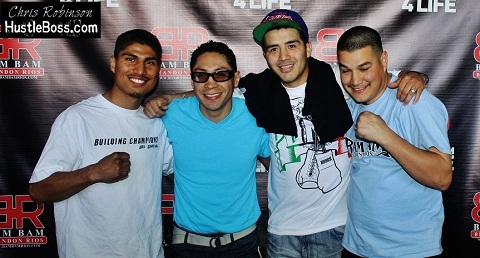 Rios faces Mike Alvarado on March 31st inside of the Mandalay Bay in Las Vegas in a rematch to one of 2012’s best action fights that saw Brandon emerge with a 7th round TKO.